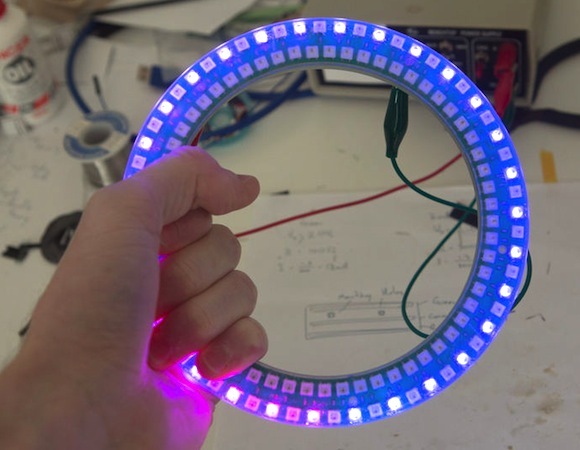 Brett Oliver’s latest version of Arduino-controlled binary LED clock uses a 4×20 character LCD and three MAX7219-based serial 8-digit seven segment displays to show time and date, which is synchronized to the DCF77 time code transmitter in Germany. The display brightness is auto adjusted to room level using a photoresistor as ambient light sensor. 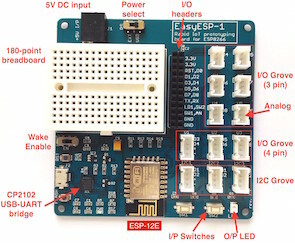 Brett also implemented a PIR sensor for motion detection that will automatically shut down the main 7 segment display and LCD display when there is no body to watch the clock. 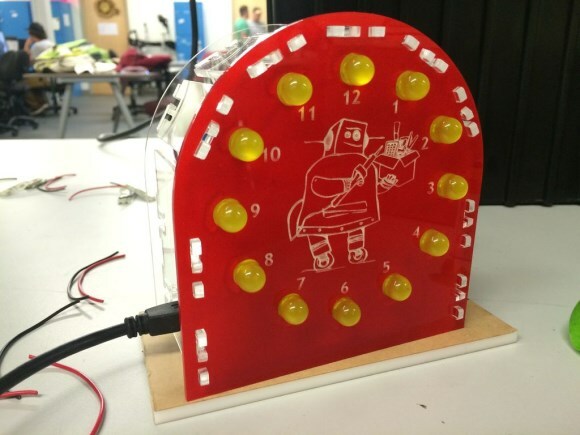 This Instructable describes building of a fun and very simple LED clock using Arduino that displays the time to the nearest half hour using LEDs.